I have done this short experimental animation after my last visit to Spain and the beaches around Barcelona. We were swimming nearby this bit of surviving architecture that was next to a surfing club although I'm not sure what it really used to be part of. It reminded me of some sort of fish, or a beached whale. 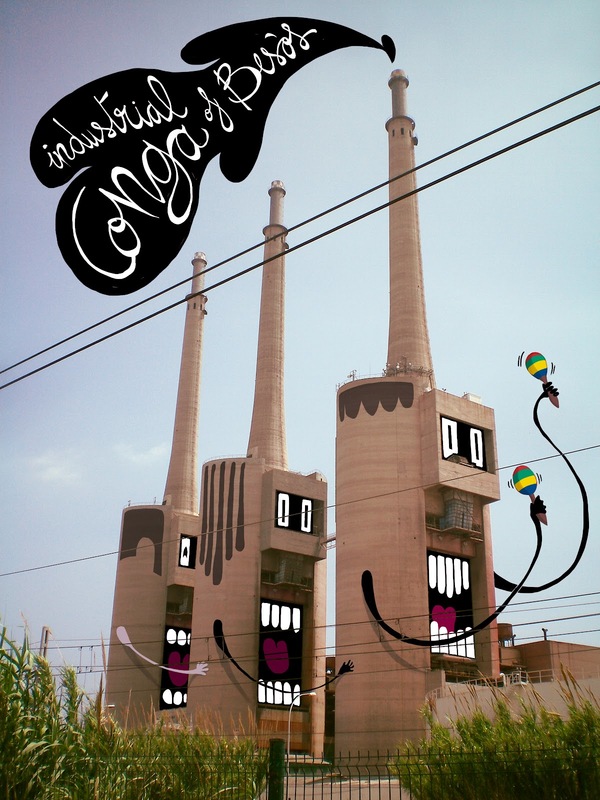 Once I was back in London it happened that I watched the classic Yellow Submarine film and came up with this architectural psychedelia clip. This image is a view from the train on the way to Badalona beach, over the Thermal Power Station in Sant Adrià del Besòs, that has now become an icon of the Barcelona skyline with its three chimneys. The way they are placed one next to the other, and the fact they're literally by the sea made me think of the conga line. 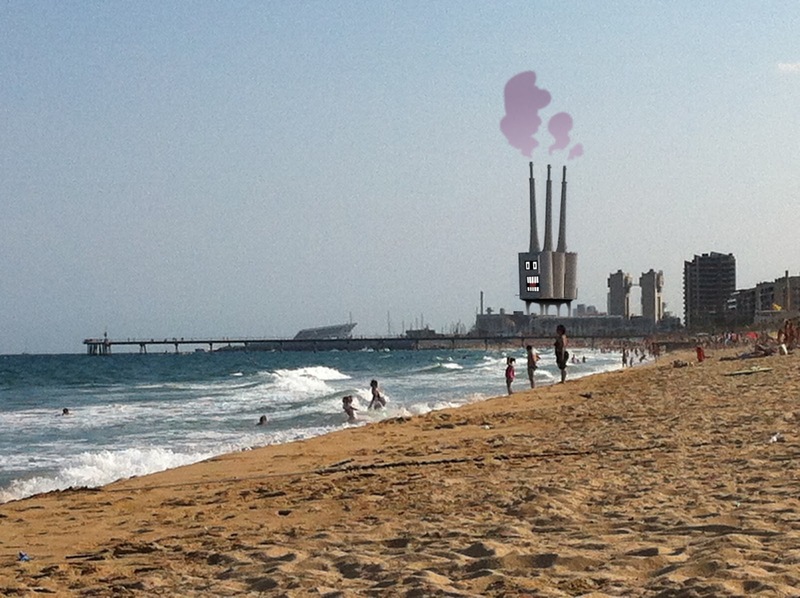 The second image is a view from the beach towards Barcelona, with the industrial creature towering over it.